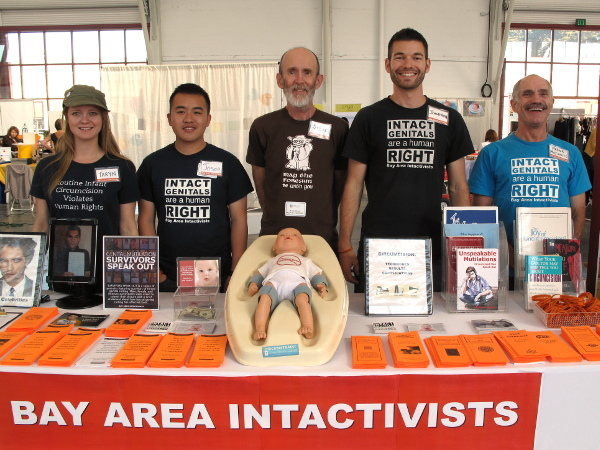 Bay Area Intactivists will have a booth at the 2015 BirthKeeper Summit to answer questions and provide resources related to the care of intact children, the damage caused by forced genital cutting, and the techniques available for non-surgical foreskin restoration. Join us for this event to learn why all individuals—male, female, and intersex—have a human right to genital integrity! On Friday, May 1, Marilyn Milos (Executive Director at NOCIRC), Hida Viloria (Chairperson at OII), J. Steven Svoboda (Executive Director at ARC), and Soraya Miré (Executive Director at Persistent Productions), will jointly present "Protecting Genital Autonomy and Children's Rights" as part of the BirthKeeper Summit. Please visit BirthKeeperSummit.com for more information about attending the 2015 BirthKeeper Summit.